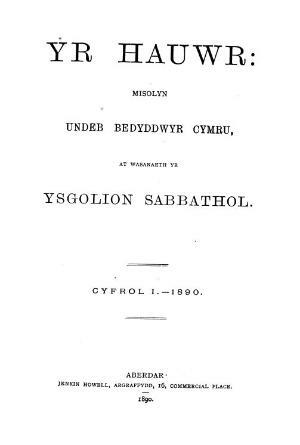 The monthly Welsh language religious perioidical of the Baptist Union of Wales intended for use in its Sunday schools. The periodical's main contents were lessons for the Sunday schools, music and poetry. Amongst the periodical's editors were the minister and headmaster, William Edwards (1848-1929), David Powell and Gwilym Owen, with the musician William Thomas Samuel (1852-1917) amongst its music editors. Associated titles: Yr Heuwr (1925); Yr Arweinydd a'r Heuwr (1931).